Imagine getting paid to travel or sharing your enthusiasm for travel by helping others with their trips? The Internet and digital devices make working anywhere you can get online a reality. So pack up your bags, and head off into the sunset with these six home business ideas that either involve you traveling or helping travelers. Blogging on any topic is a great way to have a home business, but for travelers, it can be particularly fun. There are boomers blogging about their adventures on the road in their RV. Moms blogging about theme park travels. Because blogs are essentially online journals, you can blog about your trip and make money. Like all blogs, making money as a travel blogger requires building a following who want to know about your adventures. Monetization of the blog can be through affiliate programs, sponsors, ad feeds (i.e. Adsense), or selling ad space. Depending on the type of blogging you do and the number of followers, you can earn free stuff as well. For example, if you’re biking across Asia, a bicycle company may give you a bike. In some ways, travel writing and blogging is similar. The difference is that in travel writing, you’re selling your articles to another magazine or blog. There are many magazines, online and off, that will not only pay for your piece but might even foot the bill for the trip. Further, some publishers hire writers to author travel books. The challenge of becoming a freelance travel writer is in finding the work. Like most freelance writing jobs, there is an ebb and flow, so you’ll need to adjust to a feast or famine lifestyle. Plus you have to adhere to what editors want, which may differ from your interests. Unlike travel agents that book trips, a travel consultant works with people on a variety of travel issues. It could be preparing people for travel (i.e. adoptive parents who are traveling abroad) or businesses needing information on cultural issues in selling their products abroad, or international travel for their employees. Now with resources such as Expedia, there’s some thought that the need for travel agents is diminishing. However, many travelers still like expert help and personal service. 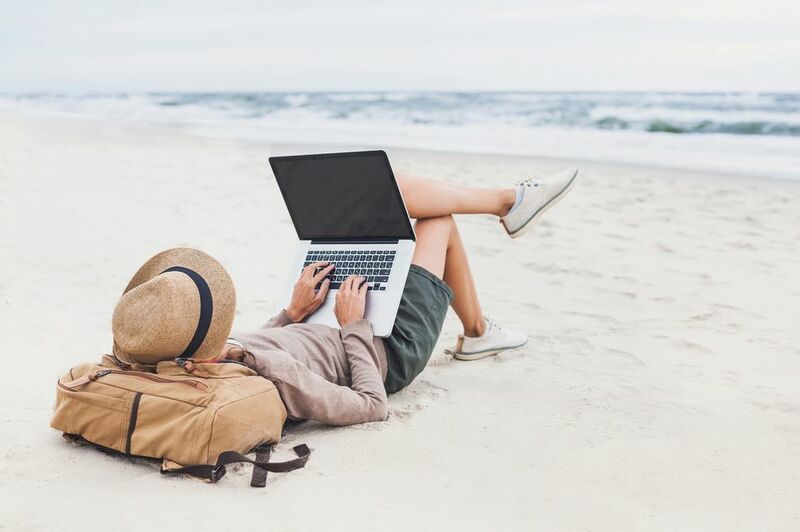 While you can set up shop on your own, there are home-based travel agent opportunities that could make it quicker for you to get started if you have no experience in booking travel for others. One way to entice clients is by offering a niche service, such as Disney vacations, or African Safaris. You can also focus on a market, such as family travel, travel with pets or corporate travel. In order to be a tour guide from home, you should live in or near a place people want to visit. For example, I live in central Virginia, less than 10 miles from two Founding Father’s homes and a number of Revolutionary and Civil War historic sites. However, your tour service doesn’t just have to be about history. Many older towns have ghost tours. Or if you have great outdoor areas you can have scenic hikes or bird tours. Or if you know the best foodie establishments, you can set up food tours. When you think of bed and breakfasts you probably think of large old homes with several rooms. However, you only need a single bedroom with a bathroom to offer to travelers. You can promote your B&B yourself, or use a service such as Airbnb to list your room(s). Along with a clean place to sleep, travelers will expect breakfast and maybe an afternoon snack or tea. It's a fun way to meet people, share your local, and learn about others around the world.